90 Arrested for Attempting to Flee to France ! The Sri Lankan Navy has arrested 90 Sri Lankans who were attempting to travel to the island of Reunion illegally. 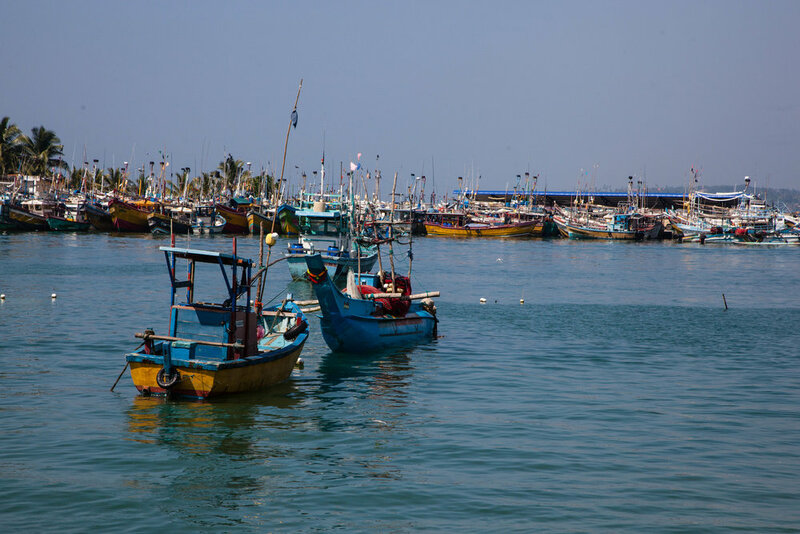 They were caught during investigations for a suspicious Trawler which has been detected in the sea off the west Coast near Negombo. Among the arrested, there were 89 males and a single female, the police said. They are believed to be residents of Batticaloa, Thoduwawa, Udappuwa, Chilaw, Mannar, Ampara and Matale areas. The Navy has taken steps to provide first aid and medical facilities to those who were brought to Colombo Port. It is reported that arrangements have been made to hand over the trawler and the people to Colombo port police for further investigation. Réunion Island is a small French colony situated near Madagascar Islands in the Indian Ocean.